This one one of six boxes made for a special event at an art gallery in Portsmouth, New Hampshire. Each box held a series of collectors prints of Boston School paintings and paintings inspired by the Boston School. 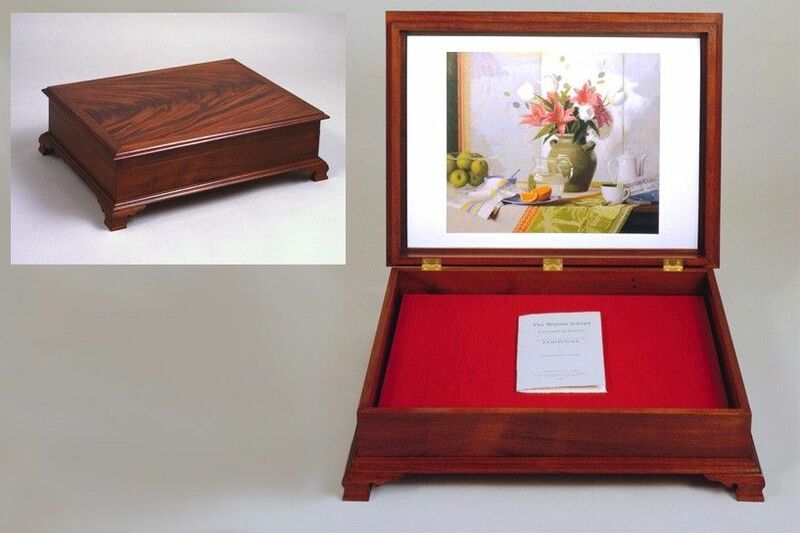 The boxes materials are Mahogany and mahogany veneer.